33 ways to check everything you need — and want — off your list. Tartan tuxedo pants, a fringed leather jacket, and a sheath cut elegantly from gray wool suiting, all designed by unknowns, are among the pieces for sale on this website that’s bringing crowdsourcing to fashion manufacturing. If enough customers pre-order an item, founders Amanda Curtis and Gemma Sole, who have an office in Boston, will oversee its production (in New York), eliminating the need for fledgling designers to shell out funds up front and freeing them to concentrate on the creative side of the business. 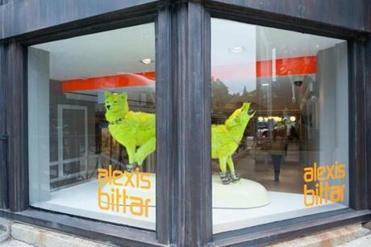 There’s no missing Alexis Bittar’s store. It’s not every Newbury Street window that features a pair of chartreuse coyotes decked out in jewels. But inside, the baubles are the stars. In addition to the designer’s signature hand-painted Lucite and sculptural pieces — some set with semiprecious stones — the boutique carries his new fine jewelry as well as antique collectibles he personally selects. With a motto of “dressing babies like babies,” the Argentinian label sticks to a palette of sweet — but not icky — pastels, classic designs, and the softest Peruvian pima cotton (hence the name). The adorable clothing is sized preemie to age 6, with loads of extras like cute blankets and toys. The sales staff is extremely helpful. What do dog owners get when you take a veterinarian’s office, a groomer, trainer, boarding, day care, and a walking service and put them under one Coolidge Corner roof? A best friend. With its mix of urban, sporty, and girly street wear, Brandy Melville has the laid-back Hollywood celeb vibe down pat. The designed-to-be-layered basics and hip accent pieces are a dream for a low-key, personalized wardrobe with just a little edge, and the quality fabrics give you a lot of bang for your fashion buck. Though the brand is international, with stores in many world capitals, Boston is currently home to the largest. This chain, which originated in Paris, has nearly 300 salons worldwide — including its first American outpost, a Newbury Street flagship. In addition to a full roster of hair services, it offers personalized color shampoos and makeup application. The bright, two-level space with period paneling and arched windows gets a dose of oh la la from the hot pink chairs. Originally from Bogota, Carolina Tejedor Meyers is a first-time store owner with a clear understanding of the modern male’s wardrobe needs. Her Caramelo Clothing in Jamaica Plain carries up-to-date, unpretentious lines like Levi’s, Penguin, and Ted Baker as well as local labels Osmium and New England Shirt Company. Also available: shaving products and colorful preppy ties. After two road trips to New York in search of the perfect wedding dress (she finally went with a Jenny Packham), Alix Childs decided to launch her own bridal boutique right on Beacon Hill. Amid vintage furnishings, Childs features indie styles more likely found on a cool girl’s Pinterest board than in a traditional salon. Gowns, from designers including the very Parisian Delphine Manivet and Australia’s Karen Willis Holmes, range from glamorous to romantic to bohemian. Veils, jewelry, and headpieces complement the collection, while invitations and decor round out the mix. Why would Chanel cross the road? 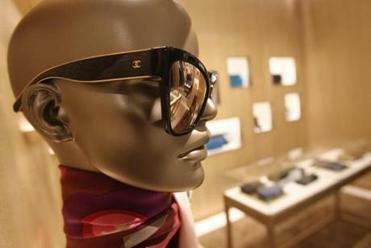 To get to a simply spectacular new store on the other side of Newbury Street. Ten thousand square feet — five times the old space — makes up for losing the serendipitous No. 5 address, with two floors (and sleek exterior) designed by Chanel starchitect Peter Marino. Though expansive, the boutique maintains an intimacy with a rooms-within-rooms layout inspired by Coco’s own Paris apartment. You control the temperature, music, and lighting in your private dressing area. Frugal fashion fans, this upscale consignment boutique with women’s clothing, shoes, and accessories is worth a stop in South Boston. Think of it as very chic recycling. 395 West Broadway, South Boston, 617-268-1100, covetboston.com. The location was great but space was an issue for fashion designer Denise Hajjar in her closet-sized shop at the Fairmont Copley Plaza hotel. After seven years there (and 30 in the business), she has moved to a 950-square-foot waterfront boutique and studio adjacent to the InterContinental Hotel. Hajjar makes excellent use of the triple-size digs, showcasing a wider range of her beautifully made women’s clothing and outerwear — custom-order special-occasion wear is her forte — with loads of well-priced accessories to complete each look. A clingy red wrap dress with ruching in all the right places, a gold sequin sheath with sheer straps, and swimwear with sturdy foundations are just some of the styles offered by this fast-fashion chain that caters to women sizes 12 to 26. Founded by the grandsons of Lena Bryant, whose Lane Bryant stores defined this niche over 100 years ago, the stores are stocked with cute looks at affordable prices. In this age of glory for everything that’s local, organic, or made in Brooklyn, Tara Foley’s apothecary-like shop in the South End feels Goldilocks-golden: It’s just right. She stocks 30 brands of skin, hair, and body products, including Amber Blue, skin care formulated by a Boston-based herbalist and aromatherapist, and Rahua, hair products created in partnership with women in Amazonian nations. (And, yes, Soapwalla, handmade in small batches in a Brooklyn loft.) Sure, the products are enough to draw you in, but it’s Foley’s phenomenal expertise that keeps customers coming back. A New England favorite, this 150-year-old company with roots in Marlborough is finally kicking up its heels in Back Bay. The store fills the former Charley’s restaurant space on Newbury Street with boots, shoes, and handbags. Tear your eyes off what’s on the floor and turn them to the ceiling, where there’s an amazing hanging display of 9,000 harness rings. Personalized service includes careful measuring and fitting. 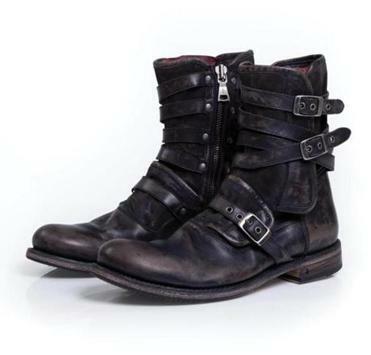 It’s hard not to look hip in effortless men’s sportswear from super-cool design house John Varvatos, which pairs fine craftsmanship and tailoring with a modern edge and rock ’n’ roll sensibility (classic rocker photos cover the walls). Also available: premium suiting, outerwear, and oh-so-luxe accessories. The offspring of the Davis Square gift shop Magpie brings the same discerning eye to kids’ wares. Teeming with wooden toys, organic-cotton clothing, and hand-knit hats and booties, many from New England artisans, the shop also offers weekly activities, including story time, yoga, and singalongs. You may not have given much thought to what the Bay State smells like, but United Scents of America has. Dedicated to creating fragrances that “evoke nostalgia for your home state,” the company chose Massachusetts as the sixth in its line of perfumes and scented candles. Inspired by the hearthside aromas of crisp fall-into-winter days, our state cologne blends notes of cranberry, sage, lemon zest, white musk, red oak, and tobacco leaf. Wish they all could be California girls? This Orange County, LA-based retailer features kicky on-trend clothing and accessories for the young and young at heart. But you have to move fast. There’s plenty of turnover, with fresh deliveries of well-priced wares almost every day. Boston is the first East Coast location for this SoCal-based store with West Coast favorites Naked Zebra, Collective Concepts, Lush, and an array of boho costume baubles. 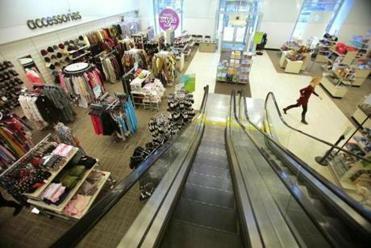 Drying some tears after the closing of Filene’s Basement, Nordstrom Rack moved into its two-story Boylston Street space with an alluring assortment of merchandise at 30 to 70 percent off regular prices. 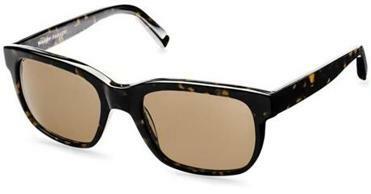 The fashions (men’s, women’s and children’s), accessories, athletic wear, beauty products, and shoes, of course, come from Nordstrom and Nordstrom.com, as well as special buys from top brands like Kate Spade, Hugo Boss, Vince Camuto, and Trina Turk. The store even offers on-site alterations. 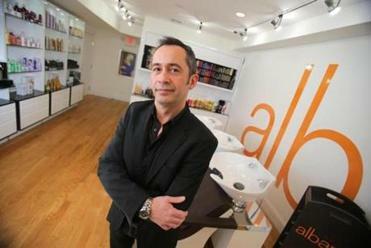 After moving from Milan, Fabrizio Di Rienzo was inspired to bring a classic Italian shopping experience to Boston. 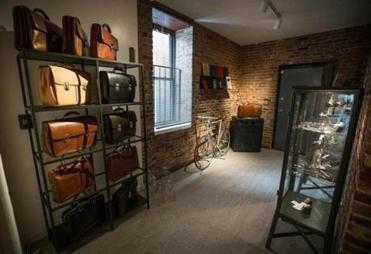 Located, appropriately, in the North End, his inviting Officina 189 offers a decidedly eclectic mix of high-end goods, with “made in Italy” the one common denominator. Vintage-style watches, fine silver jewelry, niche perfumes, sleek bicycles, handmade silk ties and scarves, and eminently touchable leather bags (including Di Rienzo’s own family label Pellux) are lovingly displayed like fine art. The Allston store for all things skateboarding opened a Back Bay location last summer, a tidy space with a carefully chosen mix of apparel, accessories, footwear, and, of course, skateboards. Brands include big names like Converse SB, Huf, and Herschel Supply Co. as well as harder-to-find specialty labels and the store’s own brand. Modest prices and a friendly, helpful staff make shopping — or just browsing — enjoyable. 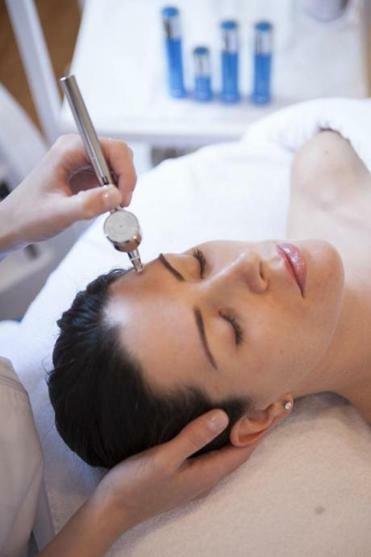 Known as one of the best brow shapers on Boston’s beauty scene, Julie Michaud aims to bring out clients’ natural radiance. Expanding that you, only better concept, Michaud brought medical aesthetician Jennifer Chioccariello to Prettyology, a “beauty lab” offering both makeup application lessons and spa treatments. Services in the lovely apartment-like setting include facials, peels, scar-repair micro needling, micropigmentation (semi-permanent eyebrow and eyeliner tattooing), lash extensions, and lip waxing, with a range of beauty and skin-care products available for sale as well. Amsterdam import Scotch & Soda transformed the former J.P. Licks at the bottom of Newbury Street into a two-story boutique selling clothing for both men and women. A prepster-meets-hipster vibe is infused with Euro cool, and colors, textures, and patterns galore, encouraging customers to put together interesting outfits at moderate prices. The newest shopping complex in upscale Chestnut Hill offers open-air retail, dining, and entertainment — more mini-village than mall. Popular fashion and home brands including Calypso St. Barth, Intermix, Jonathan Adler, and J. McLaughlin join local faves like Portobello Road, Sara Campbell, and Polka Dog Bakery. 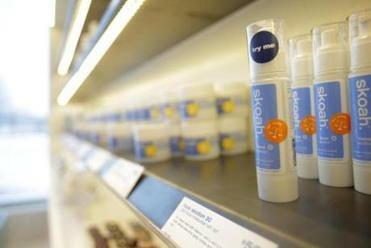 Spa-boutique hybrid Skoah provides facials and skin products, including its own complexion-flattering makeup line. Named after two fictional Jack Kerouac characters, Warby Parker’s new Boston store is decked out like a library — but here the books, mostly literary works from small independent presses, are for sale alongside the brand’s signature nerdy-cool eyeglass frames at reasonable prices, plus the latest shades. Need help? Ask one of the friendly staff, easy to spot in blue French worker jackets. Medford native Silvana Costa has accomplished an increasingly popular reverse commute — migrating her Web-based business to the real world. Less than a year after launching her jewelry business online, Costa set up a charming shop in Rockport, showcasing wares from an array of designers, many of them from around Boston. Minimalist brass and sleek sterling silver creations mingle with bohemian turquoise or agate pieces, along with fringed and studded handbags and colorful scarves. Capitalizing on the vacant 19th-century storefront abutting its South End studio, the Evolve Residential design team plastered, painted, papered, and opened up a retail shop. Past the glossy aqua door, a turquoise and chrome mesh Womb Chair sits across from a plush sofa scattered with pillows, and on the wall there’s a French Baroque-style giltwood mirror. Foscarini light fixtures hover above it all. 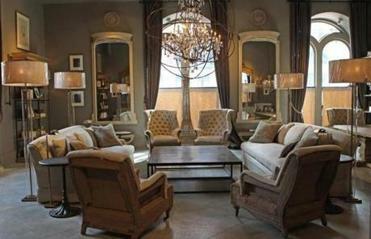 Interior designer Danielle Platzer has a wicked eye for what’s special, whimsical, and charming for the home. An inveterate Brimfield Fair treasure hunter (and veteran of SOWA’s seasonal Open Markets), she refurbishes and sells one-of-a-kind furnishings and decorative accessories. In her shop, you’ll find elegant reupholstered antique chairs, shabby-chic occasional tables, rustic textiles, and an eclectic mix of light fixtures. From the husband-and-wife retail team behind Blackstone’s of Beacon Hill and KitchenWares by Blackstones comes Reflections, a tabletop and gift boutique that fills a niche in a neighborhood replete with trendy clothing, but low on fashions for the home. The 1,000-square-foot Newbury Street shop is brimming with Italian ceramic serveware, striped candles, tea towels, and loads more, making it easy to treat yourself and buy for friends. An array of Belgian-linen-upholstered sofas, perfectly worn leather chairs, and polished wood tables basks in the architectural splendor of the meticulously restored Natural History Museum in Back Bay. Dripping with crystal chandeliers and anchored with a gorgeous glass elevator, the space has a billiards room and a Parisian-style conservatory for killing time elegantly as you mull a purchase. Interior designer Jeff Ferreira has transformed what was a Beverly Farms plumbing supply store into a furniture and furnishings shop dedicated to life well lived. To Ferreira, that means there’s nothing in the store — or at home — that the kids can’t touch. In addition to ikat rugs and lacy locally made pottery, Ferreira stocks estate-sale and flea-market finds reupholstered in classic prints. The Paris-based YellowKorner chain of art photography stores offers a lower-cost alternative to traditional galleries by commercially producing larger volumes of prints (80 to 500, compared with a more typical photographer’s hand-printed edition of 10), each numbered and accompanied by a certificate of authenticity. Works by 20th-century greats share space with an international roster of contemporary artists.